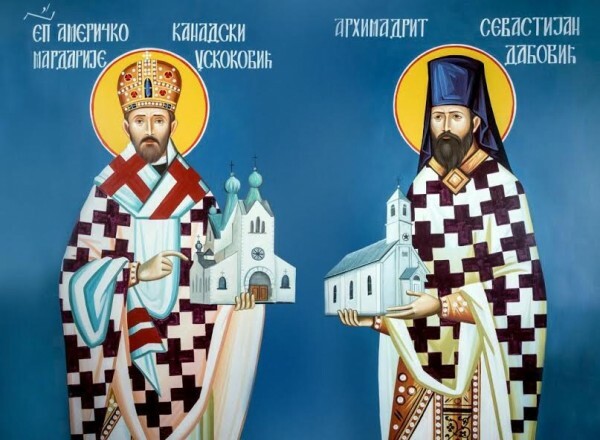 The glorification of Hierarch Mardarije (Uskokovic) and Archimandrite Sevastian (Dabovic) will take place on Saturday, September 5, 2015, in the Western American Diocese of the Serbian Orthodox Church, as reported by its official website. Leading the celebrations with will be His Holiness Patriarch Irinej of Serbia. Also participating with be His Eminence Archbishop Kyrill of San Francisco and Western America of the Russian Orthodox Church Outside of Russia. The Holy Assembly of Hierarchs of the Serbian Orthodox Church during its regular session on May 29, 2015, added the names of Archimandrite Sebastian (Dabovic) and Bishop Mardarije (Uskokovic), clergymen and preachers of the Gospel, God-pleasing servants of the holy life, and inspirers of many missionaries, to the Dyptich of Saints (Calendar of Saints) of the Orthodox Church, reports the website of the Western Diocese of the Serbian Church in America. The Holy Assembly took this action at the recommendation of the Episcopal Council of the Serbian Orthodox Church in North and South America. The Holy Assembly has established that the permanent annual commemoration of the Holy Hierarch Mardarije be on December 12, and Father Sebastian on November 30, on which days the Divine Liturgy will be served and the service chanted (hymns, troparion, and kontakion), and that their icons be piously venerated.